For more information, explore the links below. You can also call co-chairs Claudine Auclair (239)595-2394 or Normand Giguere (239)249-0453 for additional questions. 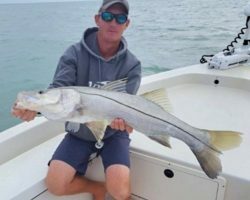 This catch-and-release tournament is held every year to raise money for the Gene Doyle Adventure Scholarship. 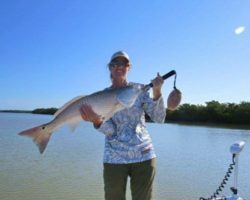 Southwest Florida anglers target redfish, snook and trout. 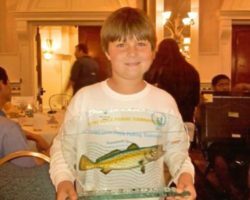 Anglers compete for 21 top prizes, including the Grand Champion. Click here to see results and winners 2018. For more information, explore the links below. You can also call co-chairs Claudine Auclair (239)595-2394 or Normand Giguere (239)249-0453 with additional questions. 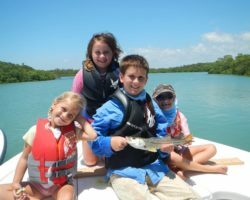 Explore the links below to discover important information about the annual Gene Doyle Fishing Tournament such as how to register, rules, cost, etc. 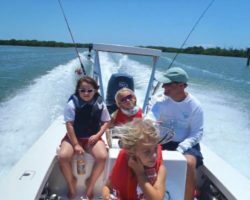 The 21st Annual Gene Doyle Backcountry Release Fishing Tournament will be held April 27, 28 & 29, 2018.